Precision Garage Doors has been providing expert garage door repair in the Cleveland area since 2001. We Fix Doors Right! We value your time When you call Precision, your call will be answered by a live operator and we will schedule your appointment when it is convenient for you. We provide same day garage door repair service and never charge extra for nights & weekends. Please call now and your garage door problems will be over in no time. D&L Garage Doors & Locksmith, a full service residential garage door installation and repair company serving customers in the greater Portland/Vancouver Metropolitan Area. We also provide the highest level of locksmith services serving customers since 2010 and striving to be the best in the business. With Portland Doors and Locks Locksmith services, we offer emergency services available around the clock, 24x7. Helping with car lock outs, business lock-outs including lost and broken keys. Our facility can duplicate and program most vehicle keys including laser cut keys. We can handle all of your door lock, deadbolt and door handle needs be it residential or commercial. Experienced in key extractions and locked out situations. 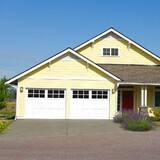 On the Garage door side of the business, we offer quick response with highly qualified technicians. We offer high quality products from Linear but work on all brands. We work with existing doors, broken spring replacement and all the way to full replacement. What types of garage door service tasks do contractors provide? A damaged garage door can lead to increased security risk, ruined belongings and an unpleasant exterior, so look for repair professionals who provide same-day or emergency services if the damage is extensive and poses a potential health and safety risk. Find garage door repair professionals on Houzz. Narrow your search for garage door repair professionals by selecting the nearest city or zip code. Look at portfolio and product photos, and read reviews to find the best garage door contractors for your home.